Born in 1895 in Guetaria (Getaria), a small fishing village on the tempestuous northern coast of Spain, Cristóbal Balenciaga Eisaguirre (1895-1972) was to become, in his own lifetime, the most famous Spanish fashion designer of his generation. He died in the mellower climate of Jávea, on the eastern coast of Spain, twelve years after receiving the Légion d'honneur for services to the French fashion industry and only four years after closing down his prestigious business in Paris. The contrast between Balenciaga's places of birth and death offers a touching analogy to his journey from rags to riches or, at the very least, from a relatively obscure, fairly modest, and extremely hardworking provincial background to the sunny prominence of an established position in international fashion. While he gained considerable material comfort, he did not lose his work ethic. He owned a flat in central Paris, an estate near Orléans (France), and a substantial house in Igueldo, near Guetaria. He was able to fill his homes with collections of decorative and fine arts and, from time to time, with friends from different walks of life. Balenciaga evidently achieved this major change in circumstance, initially, through the patronage of a member of the Spanish aristocracy, the marquesa de Casa Torres, who recognized his talent at sewing-a skill learned from his seamstress mother-and apprenticed him to a tailor in fashionable San Sebastián (Donostia). From this training, he went on to become chief designer in a local dressmaking establishment, before opening his own house in Madrid. Armed with financial backing from a fellow Basque, he subsequently successfully established, directed, and designed for the Parisian couture house that bore his name. At the same time, he maintained three high-class dressmaking establishments in Spain, in San Sebastián, Barcelona, and Madrid. They functioned under the label Eisa, an abbreviated form of his mother's patronymic. Balenciaga's formative experiences in Spain were fundamental to both his design practice and his ultimate move to Paris. His tailoring apprenticeship gave him a mastery of cut and construction and an obsession with perfection of fit. He was one of the few couturiers who was capable of "cutting material, assembling a creation and sewing it by hand," as even his archrival Coco Chanel acknowledged (Miller, p. 14). His fascination with certain simple forms (the manipulation of circles, semicircles, and tunics) may well have derived from familiarity with the cut of the ecclesiastical vestments and clerical dress so common in Spain. His use of certain colors (black, shades of gray, earth colors, brilliant reds, fuchsia, and purple), certain forms of decoration (heavy embroidery and braid), and certain fabrics (lace used voluptuously in flounces and heavy woolens or new synthetics "sculpted" into extraordinary shapes) owed much to the aesthetic of Spanish regional dress and to the drapery and costume depicted in Spanish painting and sculpture from 1500 to 1900. His early working experience in San Sebastián alerted him to the dominance of Paris in international women's fashion, as one of his responsibilities was to travel to the center of couture to the seasonal collections, to make drawings of models that might subsequently be translated into garments for Spanish clients. In this second, transitional, stage of his career, he was copyist or translator rather than originator of designs. While the reasons for Balenciaga's departure from Spain in 1935 at the age of forty, and his subsequent establishment in Paris, are not clear, it is probable that the commercial and political situation in Europe contributed to his move. In the 1930s Paris was the fashion mecca not only for ambitious designers but also for the cosmopolitan women they dressed. The French government fostered couture and its ancillary trades because they were important national export industries. Subsidies encouraged the use of French textiles, and textile manufacturers supplied short runs of rare fabrics for couture collections. The trade organization Chambre Syndicale de la couture parisienne guided the regulation of conditions of employment, training for prospective couturiers, and the efficient coordination of the twice-yearly showings of all couturiers' collections. This arrangement made the trade desirable, as private clients and commercial buyers from department stores and wholesale companies from other parts of Europe, the United States, and Japan could plan their visits in advance and make the most of their time in Paris. Before World War II, no other country boasted such a highly organized and prestigious fashion system, a fact of which Balenciaga must have been aware as early as about 1920. That Balenciaga chose to "defect" some fifteen years later was probably linked to the increasingly difficult political situation in Spain, a state of affairs that did not bode well for those who made their living from fashion. In 1931 the Spanish monarchy fell, and a period of un-certainty preceded the Spanish Civil War (1936-1939). Balenciaga lost his main clientele of the 1920s, the Spanish royal family and the aristocracy who summered in San Sebastián and wintered in Madrid. Consequently, he closed down his branch in the north of Spain just after it opened. The advent of war did not improve his prospects, so his move to Paris (via London) was timely. By 1939, when he reopened his houses in Spain, he had made a reputation in Paris, gaining an international clientele that far outstripped the captive following he had had in Spain. During World War II, he moved back and forth between the two countries, keeping a connection with his familial and cultural roots and control of his modest fashion empire. At the end of the war he continued this practice. Even when he spent long periods in Paris, he did not lose contact with Spaniards, as both his business and home were in the district frequented by Spanish Émigrés, many of his business associates or employees were Spanish, and his friends included his fellow countrymen the artists Pablo Picasso, Joan Miró, and Pablo Palazuelo. Haute couture businesses are secretive about their internal workings, if not their ambitions, and often it is the design records rather than the accounts that survive. In the absence of financial or administrative archives for the house of Balenciaga, it is possible to reconstruct its organization and strategy only through its public registration, its rich design archive, and limited oral and written testimony from the salon, some of the more illustrious members of its clientele, and a few of the designer's colleagues or pupils. Tradition and continuity were particular characteristics of the house, in terms of its internal structure and workforce, its design output and quality of production, and its maintenance of a faithful and prestigious customer base. Gimmickry was avoided at all costs-even in the postwar period of consumerism, when many of Balenciaga's competitors engaged freely in a variety of new sales tactics, including the development of ranges of ready-to-wear clothing, accessories, and numerous fragrances and the use of advertising. As was relatively common in Parisian couture, Balenciaga was a limited company, in the form of a partnership between Balenciaga himself, his hat designer and friend Vladzio Zawrorowski (d. 1946), and Nicolas Bizcarrondo, the Basque businessman who provided the initial capital. Balenciaga's previous success in Spain and the existence of three houses there (albeit that they were in limbo in 1937) might well account for Bizcarrondo's faith in Balenciaga and his willingness to support him. Established in 1937 on an initial investment of Fr 100,000, the value of Balenciaga's couture house rose to Fr 2 million in 1946 and to Fr 30 million in 1960. Injections of funding coincided with expansion in its activities. The investment reflected the size-large by couture standards but small relative to industrial enterprises before or after World War II. The structure of the design house followed to the letter a traditional couture model, conforming without difficulty to the new haute couture regulations implemented in 1947. Throughout Balenciaga's reign, the seat of business was at 10 avenue Georges V-a suitable location in the golden triangle of Parisian luxury production. This six-story building served all functions- aesthetic, craft, commercial, and administrative. Discretion was the key to both the exterior and interior, with little overt reference to the house's sales function. On the outside, classical pillars flanked the shop windows, which never contained any hint of clothes for sale but rather pretended to a certain artistry. Workshop space expanded beyond the four workshops set up in 1937 (two for dresses, one for suits, and one for dresses and suits). During the war (1941) Balenciaga added two millinery ateliers; then, after the war (1947-1948), another two workshops for dresses and one for suits; and, finally, in 1955, another for dresses, bringing the total to ten. Just before the opening of the final workshop, Balenciaga's employees numbered 318. In the scheme of things, Balenciaga valued his cutters more highly than his workshop heads, paying the former 20-30 percent more than the latter between 1953 and 1954. Given the reputation of the house for high-quality tailoring, this prioritization is not surprising, nor is the fact that skilled employees in positions of trust remained with the firm over a prolonged period. In the case of the known workshop heads, the majority stayed for twenty to thirty years. Moreover, "new" senior staff members seem to have arrived from the Spanish houses, possibly because Balenciaga could rely on their standards and experience. Continuity was also an aspect of the client base, satisfying Balenciaga's firm belief that women should find and remain with the dressmaker who best served their needs and understood their personal styles. Many private and professional clients patronized the house for thirty years. At his height, Balenciaga showed his collections to two hundred wholesale buyers and made to measure about 2,325 garments per annum for private clients. Some of the latter bought as many as fifty to eighty items per year. They made their choices from the four hundred models he created, a number in line with the output of other top couturiers of the time. Major department stores bought Balenciaga models with particular customers in mind and then reproduced as closely as possible the couture experience in their salons, offering fashion shows, personal advice on customers' social and practical needs, and high standards of fitting and making. At different times these firms included Lydia Moss, Fortnum and Mason, and Harrods in London; Hattie Carnegie, Henri Bendel, Bloomingdale's, Saks Fifth Avenue, and Bergdorf Goodman in New York; I. Magnin in Los Angeles and San Francisco; and Holt Renfrew in Toronto. In contrast, wholesalers bought with batch production in mind, spreading Balenciaga styles through their adaptation of toiles from the house. The wholesalers who attended Balenciaga's shows included many members of the London Model House Group, the elite of ready-to-wear. For them, every model had about eight to ten derivatives, each of which was reproduced four hundred to five hundred times. Some Balenciaga models, however, were considered too complex for reproduction, whether in department stores or factories, and too outré for the tastes of more conservative clients. Balenciaga's loyal band of private clients belonged to the wealthiest titled and untitled families across the globe and embraced both professional women and socialites. Some customers combined buying from him with purchases from other made-to-measure or ready-made sources or found his garments in special secondhand outlets. His true devotees developed a close relationship, even friendship, with "The Master," who provided for their every need: some daughters followed their mothers into the house, among them the future Queen Fabiola of Belgium, daughter of his patron, the marquesa de Casa Torres; Sonsoles, daughter of his most consistent client, the marquesa de Llanzol; and General Francisco Franco's wife and granddaughter, whose wedding dress was the last designed by Balenciaga. Others grew into Balenciaga through familiarity with his house in Paris, for example, Mona Bismarck, widow of Harrison Williams, one of the wealthiest men in America, who consistently acquired her wardrobe from him every season for twenty years, even the shorts she wore for yachting or gardening. Perhaps, like Barbara "Bobo" Rockefeller, she believed that a Balenciaga dress gave its wearer a sense of security. A cheaper way of buying made-to-measure Balenciaga fashions was open to those who knew his Spanish operations, where labor costs were lower and local fabrics sometimes were substituted for those used in Paris (and a favorable exchange rate prevailed for most foreign visitors). The film star Ava Gardner, a regular visitor to Spain in the 1950s, patronized Eisa, for example, as well as the Parisian house. Balenciaga's final-and perhaps most intriguing- client was Air France. In 1966 the world's biggest airline asked him to design air stewardesses' summer and winter uniforms to a brief that probably appealed to him: "elegance, freedom of movement, adaptability to sudden changes of climate, and maintenance of a smart appearance even after a long journey" (Miller pp. 57-59). His experience of dealing with the soigné jet set and his fashion philosophy of practicality prepared him well for this request. Balenciaga was reticent in talking about himself and his craft, so the nature of his business, the identity of his clients, and actual surviving garments and designs are necessary to supplement his occasional observations about his fashion philosophy. Evolution rather than revolution, elegance and decorum rather than novelty and flash-in-the-pan fashion, practicality, wearability, and "breathability" were guiding principles in his design and, no doubt, suited a discerning, largely mature clientele. At his apogee in the 1950s and 1960s Balenciaga created designs that bear witness to his keen attention to the effects achieved by combining different colors and textures. Often the intrinsic qualities of fabrics, whether traditional woolens and silks or innovative synthetics, led the design process, as Balenciaga pondered their potential in tailored, draped, or sculpted forms. He was prepared to forgo the French government subsidy, granted to couturiers whose collections comprised 90 percent French-made textiles, in order to acquire the best-quality and most groundbreaking textiles from whichever part of Europe they came. Balenciaga gradually honed his design in daywear, building out from the base of apparently traditional tailored suits with neat, fitted bodies and sleeves that sat perfectly at the shoulder into experimentation that led to the minimalist "no-seam coat" (1961), crafted from a single piece of fabric by the artful use of darts and tucks. This garment hung loose on the body and embodied the culmination of a range of loose or semifitted lines in various garments that probably constituted Balenciaga's most important contribution to fashion. These designs emerged gradually during the 1950s, flattering different female figures (mature and youthful) and allowing the wearer to move easily. The tunic (1955), chemise or sack (1957), and Empire styles (1958) drew attention away from the natural waist through the creation of a tubular line or the emphasis that a bloused back laid on the hip line or that a high waist laid on the bust. Suit jackets were judiciously cut, and their matching skirts were often gathered slightly into the waistband at the front to accommodate middle-age spread. Three-quarter-and seven-eighth-length sleeves and necklines set away from the neck sought to flatter the wrists and the neck, both graceful at any age. They also proved practical for busy lifestyles. In the 1960s a range of different lengths and fits of jackets and coats featured in Balenciaga's collections, from the very fitted to the loose. Similar paring down is evident in Balenciaga's cocktail and evening wear; so, too, is a taste for the grandeur and elaboration appropriate to the purpose. For these gowns he drew on historical and non-European sources and sought his own version of modernism. Initially, for all their apparent ease, these dresses were often built on a corset base with boning, an understructure that was not obvious under the complex confections of drapery, puffs, and flounces popular in the 1950s. By the 1960s, however, shapes simplified and did not cling to or mold the body. The contrast between the slim black sheaths of the late 1940s and early 1950s and the outstanding models of gazar, zibeline, faille, and matelassé of the 1960s is absolute. The former took their drama from the swathes of contrasting satin in jewel colors that were attached at waist or neckline and could be draped to the wearer's fancy. The latter relied for their Éclat on the sculptural simplicity of their lines and the substance of the fabric rather than on artificial flowers, feathers, or polychrome embroidery. While three-dimensional decoration was not obsolete, the shapes to which it adhered became tunic-like. The frills, ballooning skirts, and sack backs had given way to a more austere, almost monastic aesthetic. The fashion cognoscenti, from couturiers to journalists, still accord Balenciaga the laurel of the "designers' designer." They use his name to evoke certain standards in fashion-evolution in style, ease of dress, and meticulous attention to detail (visible or otherwise). Balenciaga's former apprentices (André Courrèges and Emanuel Ungaro), colleagues (Hubert de Givenchy), and aficionados (Oscar de la Renta and Paco Rabanne) have inherited and propagated certain elements of his philosophy and style. In the last quarter of the twentieth century approximately eight major exhibitions worldwide perpetuated his fame, many facilitated by the archivist of the house of Balenciaga, owned by Bogart perfumes from 1987 to 2001 and since then by the Gucci Group (91 percent) and the in-house designer, Nicolas Ghesquière (9 percent). Ghesquière's widely acknowledged talent and vitality revived the fortunes of Balenciaga in the late 1990s, and by the early 2000s the designer himself had begun to explore the riches of the archives and appreciate more fully the shadow in which he labored. He was quick to draw parallels between his own work and that of the "The Master," although couture represents a tiny element of his output. In Spain, Balenciaga's reputation contributed to initiatives to encourage the Spanish fashion industry: in 1987 the Spanish Ministry of Industry and Energy named the first (and only) national prize for fashion design after him and in 2000 injected $3.2 million into the charitable foundation set up in Guetaria in his name. The overall objective of this trust is "to foster, spread and emphasize the transcendence, importance, and prominence that Don Cristóbal Balenciaga has had in the world of fashion," ( http://www.fundacionbalenciaga.com) an objective that is meant to be achieved through the construction and development of a museum in Guetaria, the establishment of an international center for design training, the foundation of a research and documentation center, the publication of a fashion periodical, and the development of touring exhibitions about Balenciaga, fashion design, and haute couture. With such sustained efforts at maintaining Balenciaga's reputation and values, his impact on fashion is bound to survive, disseminated through a range of techniques from which the reserved and publicity-shy Balenciaga himself might well have recoiled. The ramifications of his dedication to fashion for that once small fishing town of Guetaria are likely to be impressive. 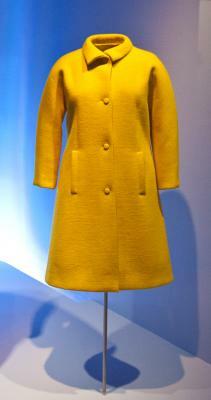 See also Gabrielle (coco) Chanel; André Courrèges; Ecclesiastical Dress; Haute Couture; Paris Fashion; Spanish Dress. Ballard, Bettina. In My Fashion. New York: D. McKay Company, 1960. A contemporary fashion editor's autobiography, which incorporates substantial portraits of many Parisian couturiers, including Balenciaga, whom the author knew well. Cecil Beaton. The Glass of Fashion. Garden City, N.Y.: Doubleday, 1954. The fashion world seen through the eyes of the society fashion photographer Cecil Beaton, a friend of Balenciaga's. Bertin, Célia. Paris à la Mode: A Voyage of Discovery. Translated by Marjorie Deans. London: V. Gollancz, 1956. A contemporary view of haute couture and its main protagonists. De Marly, Diana. The History of Haute Couture, 1850-1950. New York: Holmes and Meier, 1980. Classic overview of the development of French haute couture. Jouve, Marie-Andrée. Balenciaga. Text by Jacqueline Demornex. New York: Rizzoli International, 1989. The first major account of Balenciaga from the archivist of the house, with superb illustrations. --. Balenciaga. New York: Universal/Vendome, 1997. A brief and useful introduction to Balenciaga, largely through images but also containing new data on clients. Latour, Anny. Kings of Fashion. Translated by Mervyn Savill. New York: Coward-McCann, 1958. A contemporary fashion journalist's investigation of haute couture and its main protagonists. Menkes, Suzy. "Temple to a Monk of Fashion: Museum to Open in Basque Designer's Birthplace." International Herald Tribune, 23 May 2000. An overview of the Fundación Balenciaga in Guetaria. Miller, Lesley Ellis. Cristóbal Balenciaga. New York: Holmes and Meier, 1993. A historically contextualized account of the man and his background, clothes, clients, business, and legacy. Palmer, Alexandra. Couture and Commerce: The Transatlantic Fashion Trade in the 1950s. Vancouver, Canada: University of British Columbia Press, 2001. A multidisciplinary approach to haute couture that unpacks many of its myths by delving into the dissemination of haute couture through transatlantic (especially Torontonian) outlets, the uses and meanings of couture clothing to clients (achieved through oral history), and the examination of objects in the Royal Ontario Museum's textile collection. Useful references to the reception of Balenciaga's designs. Spindler, Amy M. "Keys to the Kingdom: A Fashion Fairy Tale Wherein Nicolas Ghesquière Finally Inherits the Throne." New Yorker, 14 April 2002, pp. 53-58. Ghesquière encounters the Balenciaga archives at last. Cristóbal Balenciaga. Tokyo: Fondation de la Mode, 1987.
de Petri Stephen, and Melissa Leventon, eds. 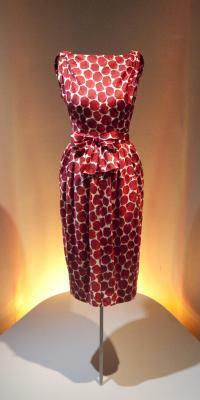 New Look to Now: French Haute Couture 1947-1987. New York: Rizzoli International, 1989. A case study of haute couture and its San Francisco customers, with an excellent essay explaining how department stores adapted garments for their clients. Ginsburg, Madeleine, comp. Fashion: An Anthology by Cecil Beaton. London: Victoria and Albert Museum, 1971. A short section of catalog entries on the Balenciaga clothes lent to the exhibition. Healy, Robyn. Balenciaga: Masterpieces of Fashion Design. Melbourne, Australia: National Gallery of Victoria, 1992. An overview of Balenciaga and his oeuvre and its importance. Jouve, Marie-Andrée. Homage à Balenciaga. Lyons, France: Musée Historique des Tissus, 1985. Emphasis on Balenciaga's relationship to the textile industry. --. Mona Bismarck, Cristobal Balenciaga, Cecil Beaton. Paris: Mona Bismarck Foundation, 1994. An intriguing glimpse into the relationship of a major client, her couturier, and their mutual friend. Well-documented record of designs chosen and worn by Bismarck. El mundo de Balenciaga. Madrid: Palacio de Bellas Artes, 1974. Diana Vreeland, curator. The World of Balenciaga. New York: Metropolitan Museum of Art, 1973. Cristóbal Balenciaga Fundazioa-Fundación. Available from http://www.fundacionbalenciaga.com . General information on the aims and objectives of the trust and the temporary displays of clothes.